This weekend was a blast. I ran my first official trail race. 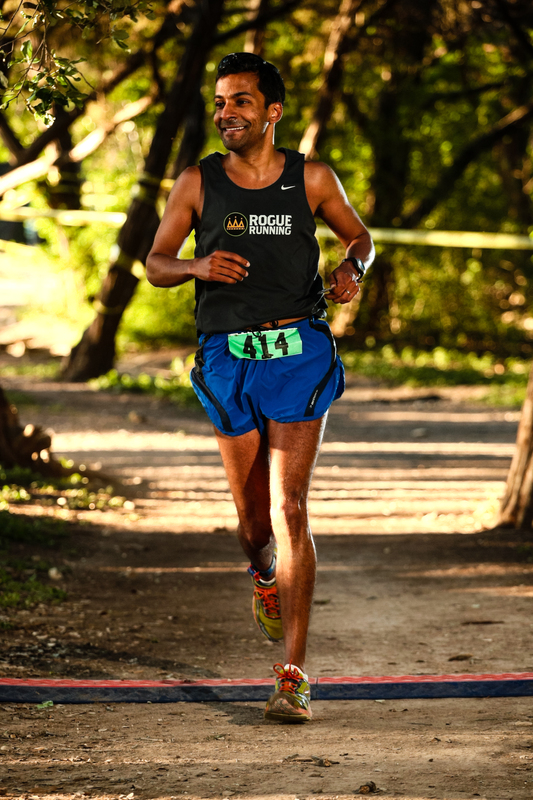 It was a 30k race at Walnut Creek Park in Austin, part of the Rogue Trail Series. It’s such a different way of running, a lot more up and down, cutting back and forth, uneven terrain, a little water to run thru and a grilled burger at the finish line. For this coming season of training the crew has been discussing trying to get in some trail runs. After the run this Sunday it’s obvious I do need more strengthening of my lower legs so we’ll hopefully manage a trail run every other weekend for a little variety. Going into the run this Sunday I wanted to try and stay relatively easy for the first two 10k loops and then pick it up for the last 10k. Things went according to plan and the first two loops were around 55 minutes and the third loop in 50. I’m not sure if the first two laps were easy, it seemed to take 10k just to warm up but my breathing was under control It was a nice feeling to be able to open the legs up in the last lap and a good sign of where my fitness is. 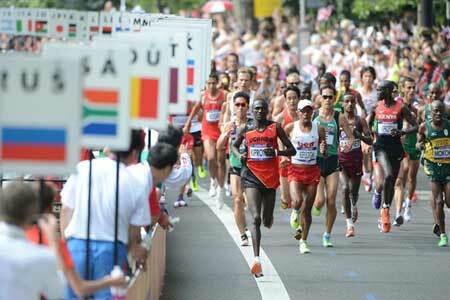 The next race in the series is at Emma Long Park on May 13th. That course is quite a bit more technical and I’ve only ever run the 10k version before so running 3 laps to get 30k will be challenging. Now it’s back to an easy week of running and then a base building phase of two to three months with the trail races in between. Oh, my better half finished first overall woman and has the coolest hand made trophy to show for it.